Yummy. You know you want one. 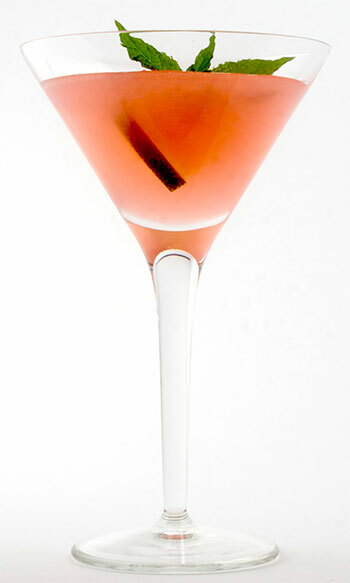 Making the perfect cosmopolitan martini is a careful blend of science, art, muscle and thought. It is essential to have the proper gear on hand when setting out to make this marvelously delicious drink. While a poor workman will blame his tools, there simply is no substitute for a sharp knife, a proper shaker and precise measurements. As with the right tool for the right job, so go the ingredients. Finely made vodka, a proper orange liqueur, ripe limes, fresh mint, and yes even the right kind of ice all work in harmony to create a symphony for the senses. Then there's the process of mixing. The order in which the ingredients are added is just as important as the force and duration of the shake, or the swift and sure movements of the final pour. The results, of course, are just perfect.